Voltage division rule is one of the basic rules of circuit analysis. It is applicable to all series circuits and combination circuits. 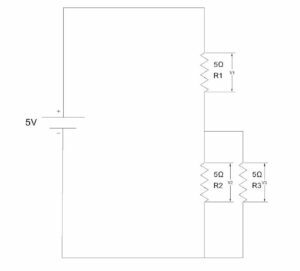 Series circuit always acts as a Voltage divider. In a series circuit, the same current flows through each resistance. 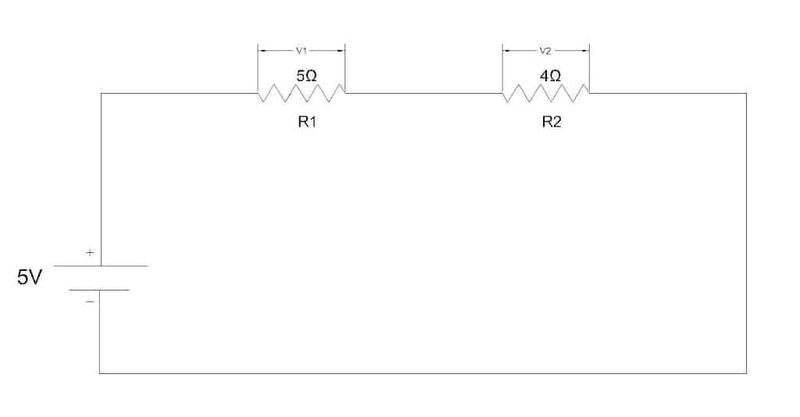 Hence the voltage drops across each resistor are proportional to their ohmic value. In a series circuit, current flowing will be proportional to the total resistance offered by the circuit. 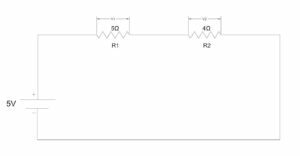 The voltage across each resistor, by ohm’s law, is the current flowing through the circuit multiplied by the value of resistance. 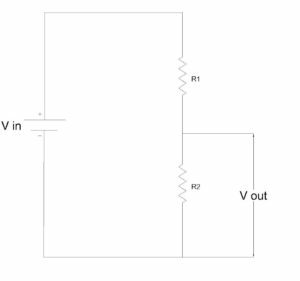 Consider a circuit with ‘n’ number of resistors connected in series and with a voltage V applied across it. Where, Vn is the voltage across the nth resistor. The voltage across any resistor in a series connection of resistors shall be equal to the ratio of the value of the resistor divided by the equivalent resistance of the circuit. This is called Voltage division rule. 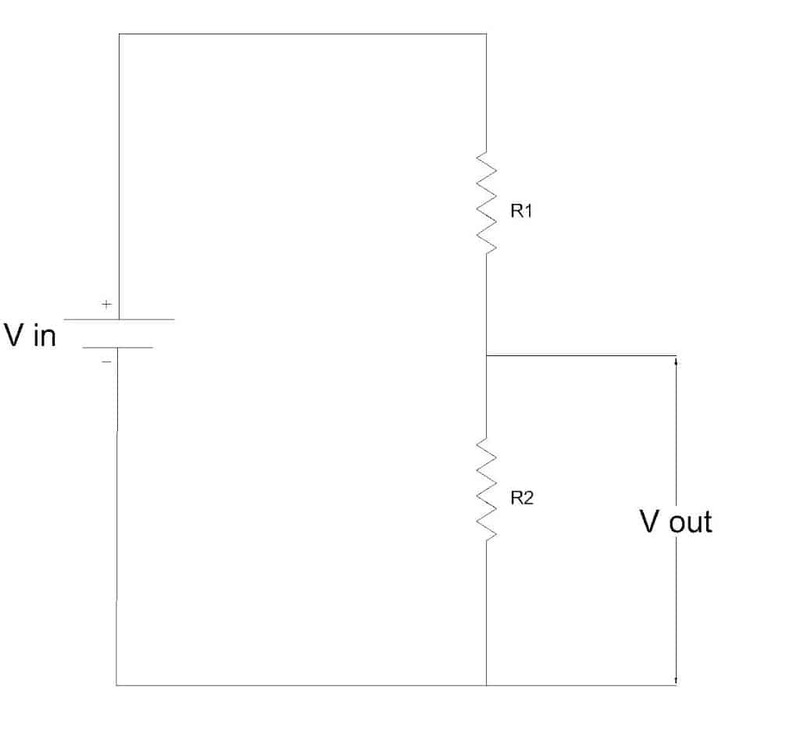 For a better idea, let us consider a circuit with two resistors R1 and R2 connected in series with voltage V applied across it. Let the total current be I. 1. Find the voltage across the resistor R3 in the circuit. 2. 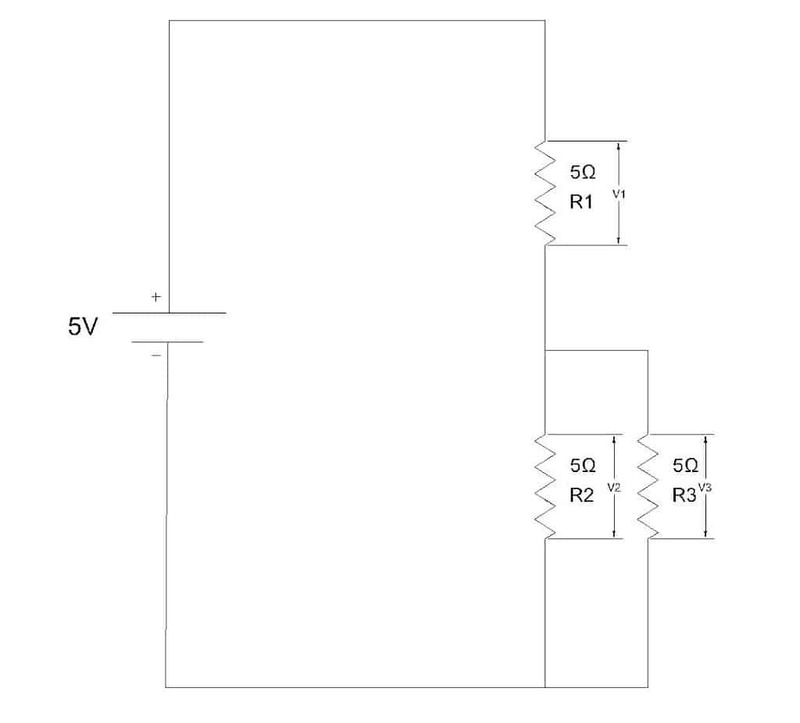 Find the voltage across the resistor R2 in the circuit. 3. Find the voltage across the resistor R3 in the circuit. A simple circuit of passive components used to get a voltage that is a fraction of the input voltage is called potential divider.